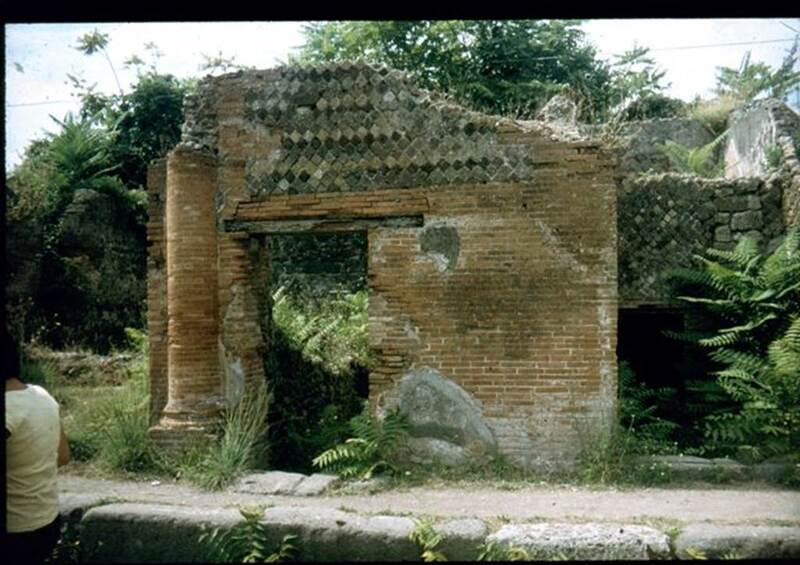 VI.17.35 Pompeii. Stairs to cellar. First excavated 1760. 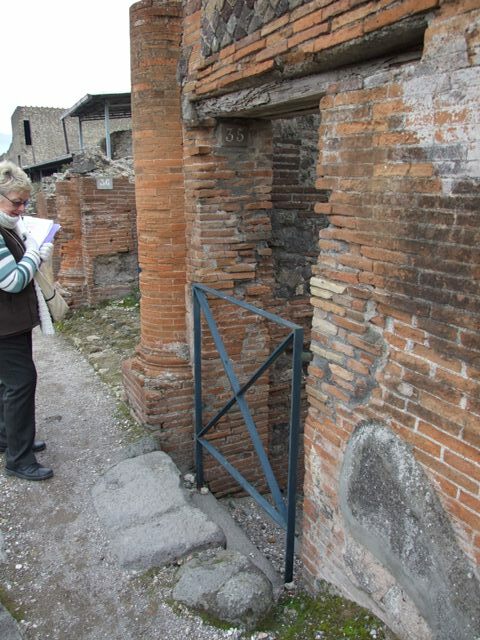 VI.17.35 Pompeii. 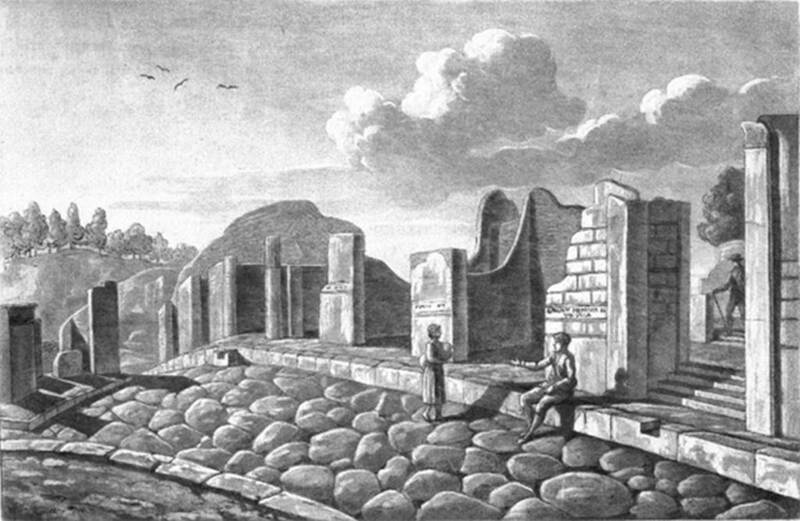 1819 drawing with title “Maison de Julius Polybius”. The pillar of VI.17.35 can be seen by the step in front of the kerb on the left. 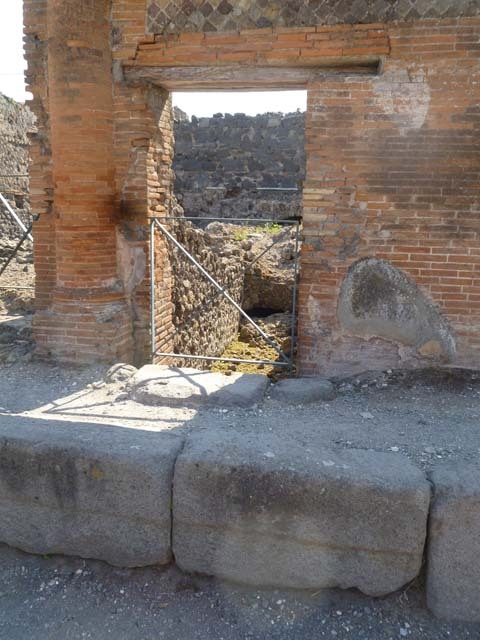 VI.17.35 Pompeii. May 2011. 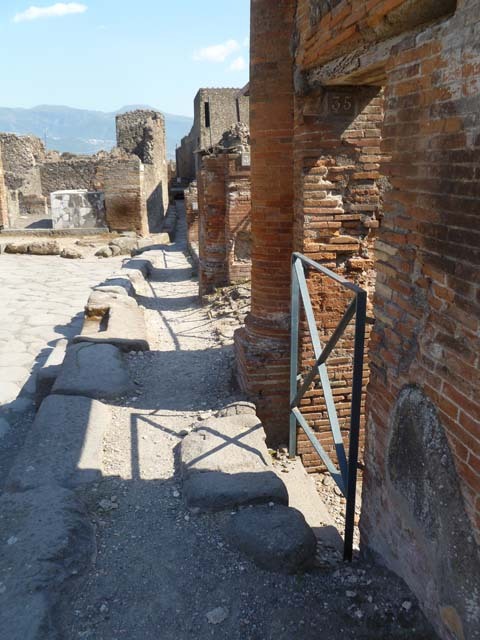 Looking south along pavement of Via Consolare from doorway. VI.17.35 Pompeii. Entrance on Via Consolare. 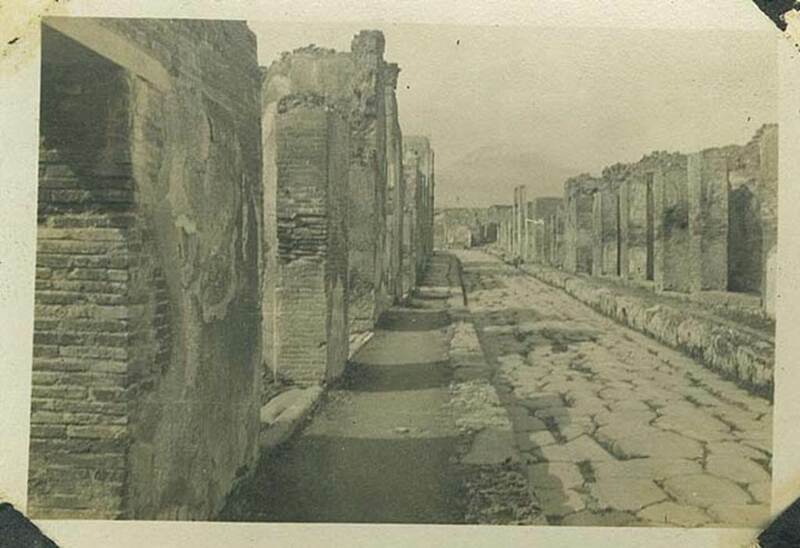 VI.17.35 Pompeii, on left. 29th March 1922. Looking north along pavement of Via Consolare. 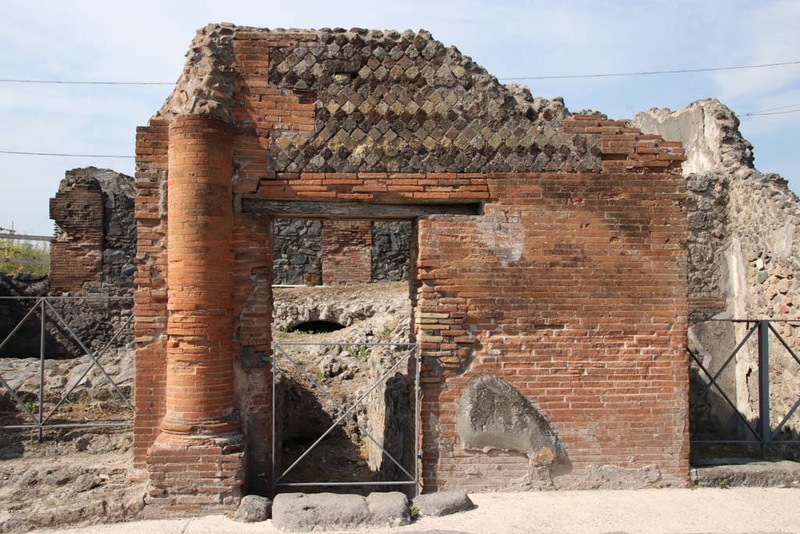 VI.17.35 Pompeii. May 2011. Entrance doorway to lower level. Photo courtesy of Michael Binns. 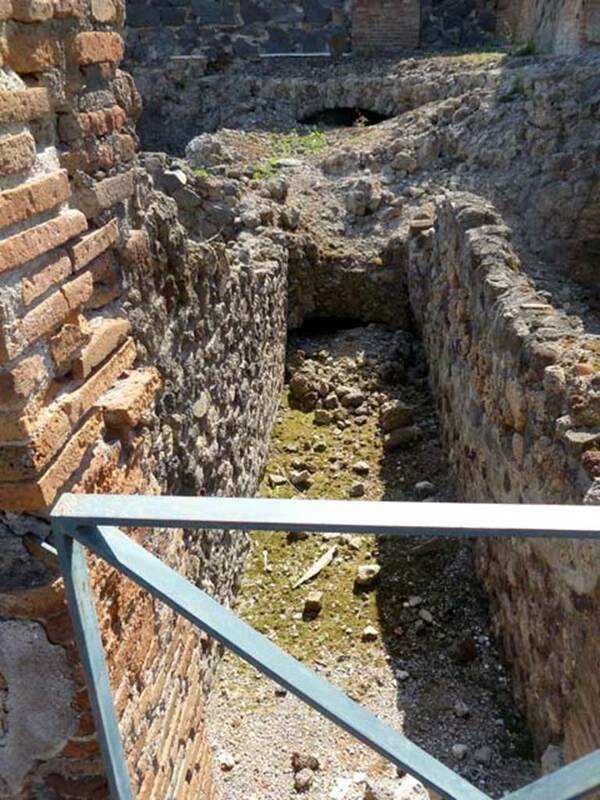 VI.17.35 Pompeii. December 2007. Entrance to stairs to cellar. 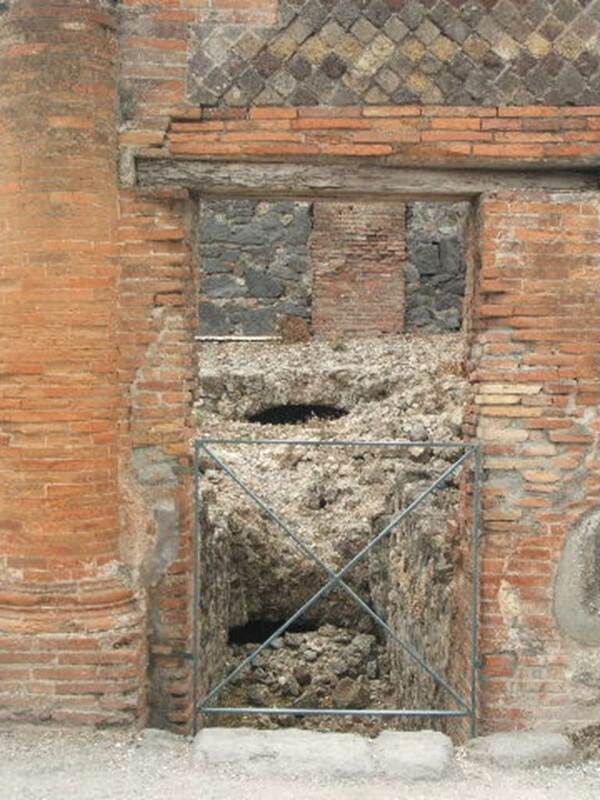 VI.17.35 Pompeii. May 2005. Entrance doorway. 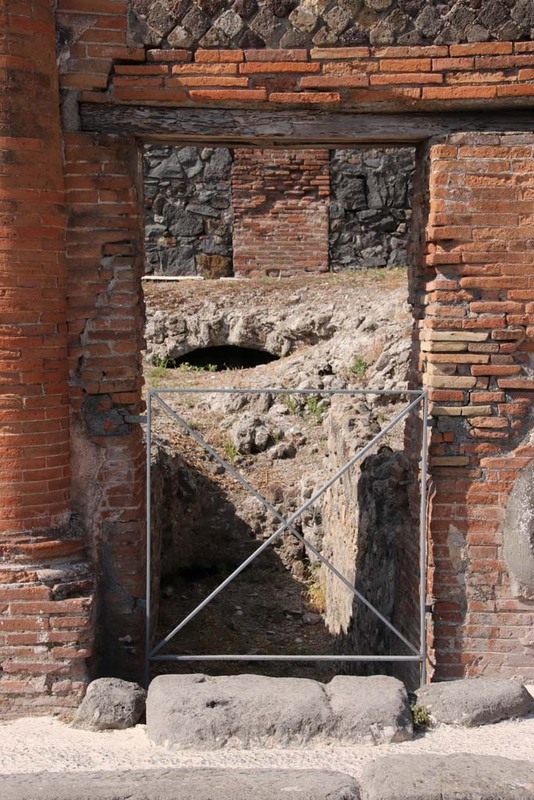 VI.17.35 Pompeii. May 2011. Looking west from entrance doorway. Photo courtesy of Michael Binns. VI.17.35 Pompeii. December 2007. Steps to lower floor. VI.17.35 Pompeii. December 2007. 4 steps down from Via Consolare.